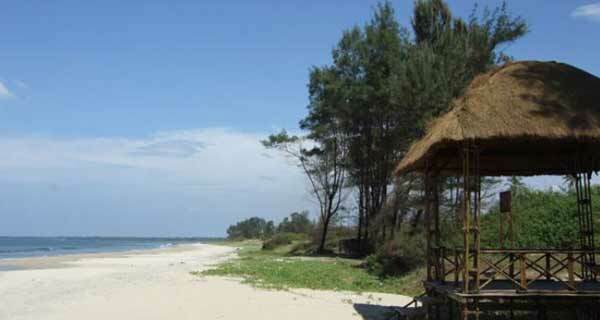 About 550 km from Mumbai situated on Tarkarli’s Virgin beach that opens to sparkling blue water. Just 6 k.m away from Malvan. One can say ‘Sea at your doorsteps’ – just walk through your Resort and be on the beach any time you wish. Tarkarli attracts thousands of national and international tourists in November for its extremely comfortable climate. Blessed with serene beaches, gorgeous backwaters, and beautiful blue waters. Tarkarli Beach is God-gifted with natural safety, famous for its crystal clarity water that one can actually see the seabed up to a depth of 20 ft. and its silver sand. You can enjoy snorkeling, scuba-diving, Parasailing, backwaters & boating with dolphins in your company. If you are dying to jump into the salty and cool waters of the Arabian Sea, November is the right time to pack your bags for a happening weekend with friends. You can also visit on the emerald green waters of Karli Beach. Deobag, Sindhudurg Fort, Achra Beach, Dhamapur Lake, Padma Garh Fort, Kolamb Beach, Kanak Devi Mandir, Sarjekot Fort, and many other places. Tarkarli is a narrow stretch of beach with pristine waters, located at the convergence of the Karli River and the Arabian Sea. It is 546 k.m. away from Mumbai, 6 kms. south of Malvan, on the west coast of India. This beach can be rightly called as ‘Queen Beach’ of Sindhudurg. Sea and sand blending in enchanting natural harmony, gracefully cruising boats in calm and cool river waters add to the beauty of this beach. Here newly built Resorts and Cottages are ready to provide you comfortable accommodation and recreation facilities.